Do you have an upcoming event, class, or something that you feel should not be missed? 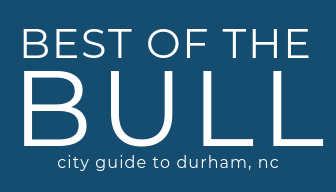 If you’re planning an event, Best of the Bull is an easy way to let thousands of locals know! Our team works hard to curate events and ensure that a wide variety of options, with something for most ages and interests, are added to our Calendar. Basic listings added by our editors include a sentence or two and no images. Click here to add a basic calendar event for free. You can make sure your event stands out with a Boosted Calendar Listing, it also ensures your event is added within one business day (and usually on the same day). Boosted Calendar Listings consistently draw more attention, gain higher engagement, and attract engagement from our audience. They feature your graphics, photo, or image. That’s how they catch the attention of your target audience. Your event is automatically added to relevant guide(s) for the month. A single Boosted Calendar Listing is $20, and discounts are available if you’d like to order in bulk. Click here to order Boosted Calendar Listings. Once ordered, please be sure to send your event details and image to kate@bestofthebull.com. Additional and price-friendly options include sharing your event in our weekly email or Instagram and Facebook feeds. We’re here to serve Durham. But our operational costs are genuine, and if we didn’t pay them we would quickly be out of business. Our staff and contributors are Durhamites, who have developed local expertise over their careers and deserve compensation. We also have server, email, and other recurring software costs. Like all small, local businesses, we depend on sales and revenue to continue our business. As a business, we’re here to serve our readers and community, our advertisers and clients, and our team members. We appreciate your grace and understanding. Please contact us at info@bestofthebull.com with any questions or to receive a media kit for expanded promotional opportunities.